Yves Francois was born in 1960 to immigrant parents. His mother, of French descent, was a Prima Ballerina before emigrating to the United States from Tunisia. His father was a music aficionado, and played clarinet. Yves first became enthralled with jazz upon hearing Louis Armstrong play the trumpet when he was 3 years old. The music spoke to his soul, and after Louis Armstrong died, he begged his parents for a trumpet and after two years they finally relented. He honed his skills on the south side of Chicago, by playing alongside jazz legends such as Paul Bascomb, Odie Payne Jr, Eddie Johnson and his mentor Franz Jackson. 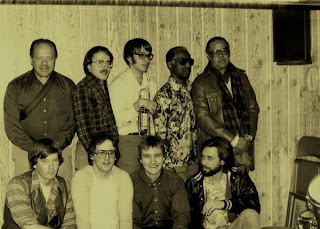 In in 1981 he convinced the Chicago legends to record together. Between 1981 and 1986 he held several recording sessions. 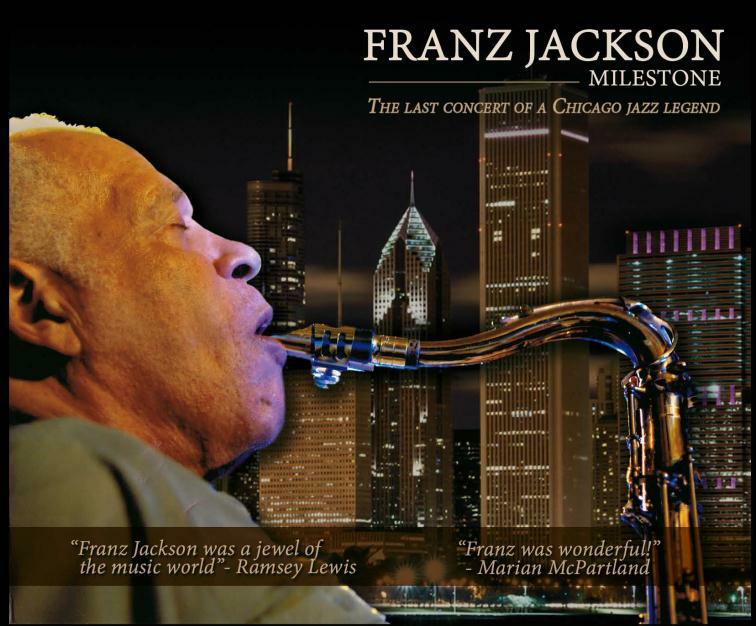 Some of the recordings were released on Franz Jackson’s label. In 2005, Delmark Records released Blues For Hawk which featured a young Yves Francois with his mentors. Yves Francois is also a Jazz Historian and has been used as a consultant for books, movies, websites, and discographical research. 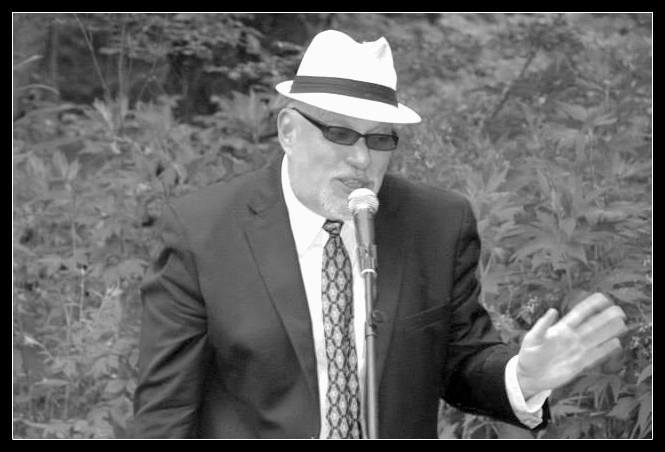 He has been published in jazz magazines, and has worked extensively on the Clarence Williams Project with K.B. Rau. He is an avid collector of 78 RPM records, especially pre-bop jazz, euro-jazz, biguines, and world music. Read his jazz blog here. What’s happening with Yves Francois now? 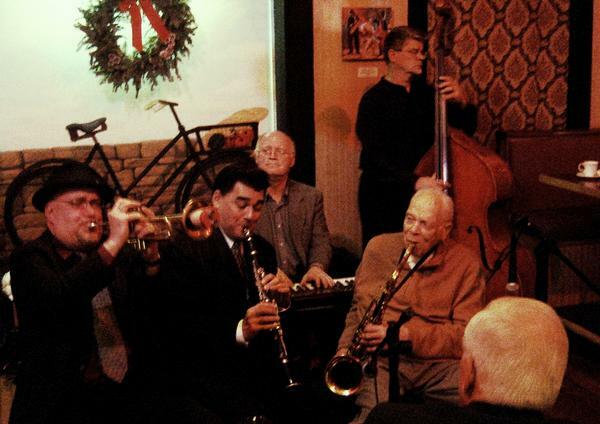 Yves Francois et son Jazz is a traditional jazz band comprised of professional musicians from around the greater Chicago area. They traditionally play in smaller settings with between four and eight instruments, and play a combination of traditional jazz, swing, New Orleans Jazz, Biguines, Rumbas, Sambas, High Life and Standards. As Yves expanded his musical knowledge, he became fascinated with the different rhythms and instruments that built the foundation for the jazz music we know today. He began to explore World Music and put together a large performance and dance band celebrating different world cultures. 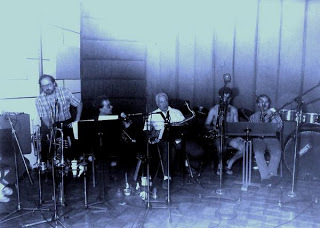 Rocambu Jazz is known for its Retro Afro-Caribbean Grooves, such as Congas, High Life, Rumbas, Soukous, and New Orleans Jazz. Rythme de Vie is his newest undertaking. 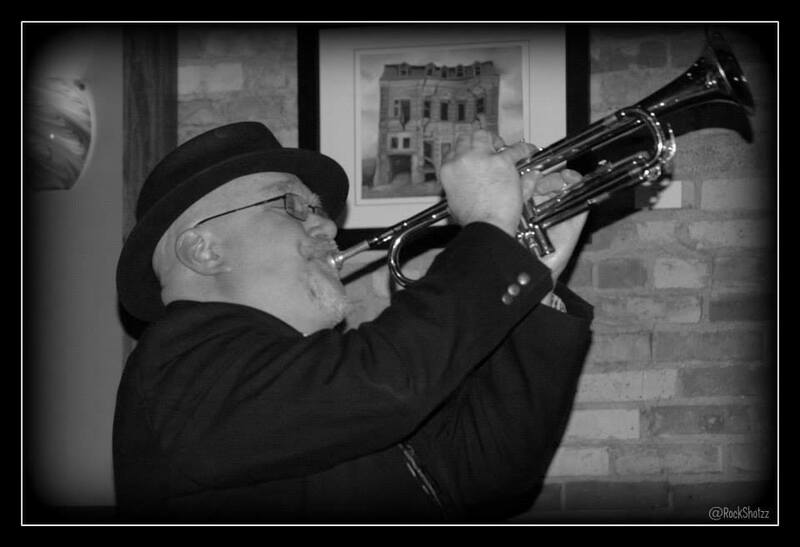 Along with friends Dwaine Majkrzak and Marius Paskukas he brings the sounds of Swing Gitan Jazz and Continental music to Kenosha, Wisconsin and surrounding areas. 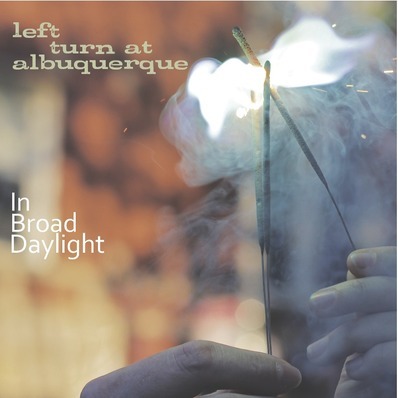 Recorded in 2007 in Dowagiak, Michigan at Franz Jackson’s 95th Birthday Party, this CD features two dozen of the best musicians from across the country, including Franz Jackson on tenor sax and vocals, Eric Schneider on alto sax, soprano and clarinet, Art Hoyle on trumpet, George Bean on trumpet and flugelhorn, Yves Francois on trumpet, Larry Dwyer on piano and trombone, Ed Bagatini on trombone, Jim Pickely on piano, Chris Carani on bass, Darrel Tidaback on bass, Bob Cousins on drums, Billy “Sticks” Nicks on drums, Hank Tausend on drums, Hugh Leal on Banjo and Guitar, Judi K and Crystal Ristow on vocals and emcee Neil Tesser. 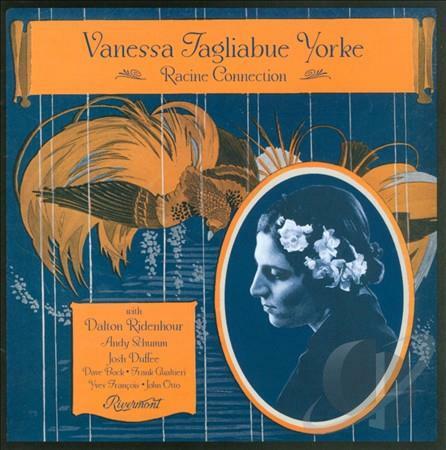 In 2012 Vanessa Tagliabue Yorke made her American debut at the Tribute to Bix Beiderbecke Festival in Racine, Wisconsin. 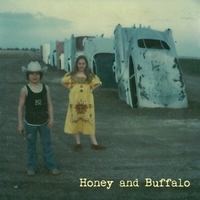 She was backed by Dalton Ridenhour on piano. Also featured are Andy Schumm on cornet, Yves Francois on trumpet, Leah Bezin on banjo, John Otto on clarinet, Jason Goldsmith on saxophone, Frank Gualtieri and Dave Bock on trombone, Mike Walbridge on tuba, and Josh Duffee on drums. Chicago Milwaukee Kenosha New York Las Vegas Paris and coming soon to a city near you!